Hi everyone! Christmas is coming soon, and what better way to get into the Christmas spirit than making Christmas themed soaps! Today’s Christmas Special recipe is for the Orange Spice Soap. You will need a Soaplab’s Handmade shea butter soap base with a transparent soap base. The shea butter is a great moisturizer and will nourish the skin keeping it healthy and radiant. The transparent soap base acts as a gentle moisturizer and cleanser. 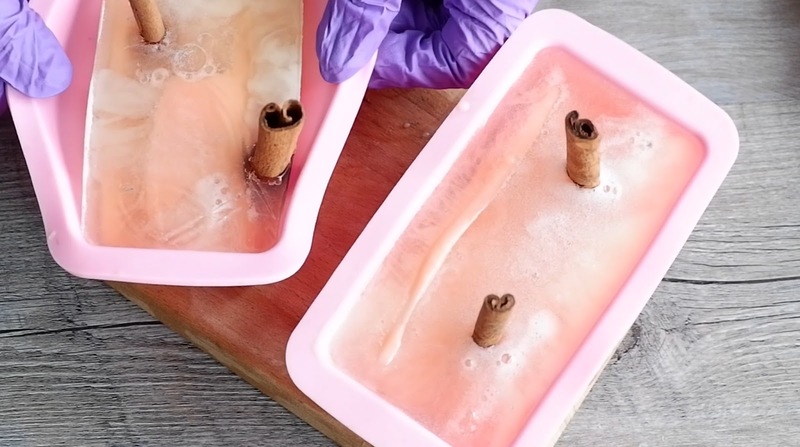 The cinnamon stick gives a nice sensation to the skin. Add orange clove fragrance oil for a spiced aroma, which will make you feel warm to the stomach. 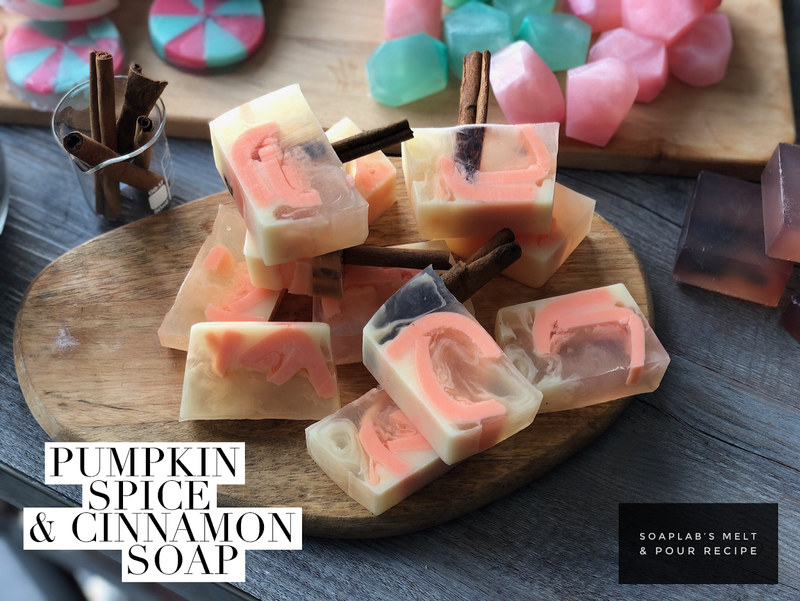 Finally, add orange mica to complete your Christmas themed soap! First, prepare your Soap Base. 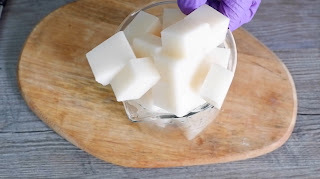 Cut 60g of SoapLab’s Shea Butter Soap Base into little cubes, the smaller the cubes the faster it will melt. 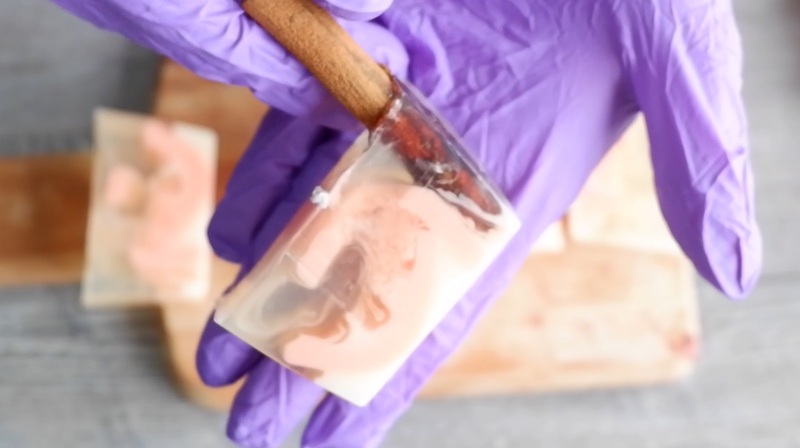 Once soap base is melted, add in Neon Orange Mica that has been diluted with glycerin into the melted soap. Use a spatula to mix mica & soap. 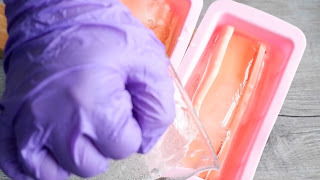 Pour 30g of soap into each mold to get a thin and malleable piece. Set aside to cool. Once hardened, remove soap from the mold like so. 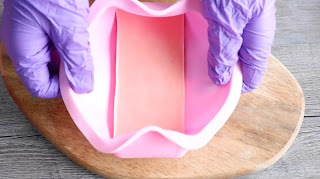 Use your hands, gently bend the soap sheets into semi circles. Be careful as the soap might break. Next, melt another 60g of SoapLab’s Shea Butter Soap Base into the microwave. Once melted, add in Orange & Clove Fragrance Oil. 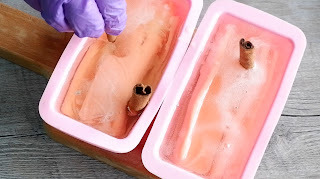 Pour the soap mixture into the mold, submerging the orange soap sheets. This should cover 1/3 of the soap curls. Leave aside to cool slightly. Next, melt SoapLab’s Transparent Soap Base in the microwave. 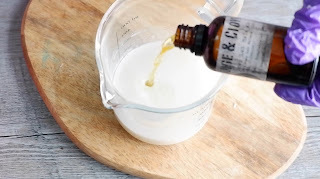 Once soap base is ready and melted, add in Orang & Clove Fragrance Oil. Use a pipette for ease measuring & dispensing and mix using a spatula. 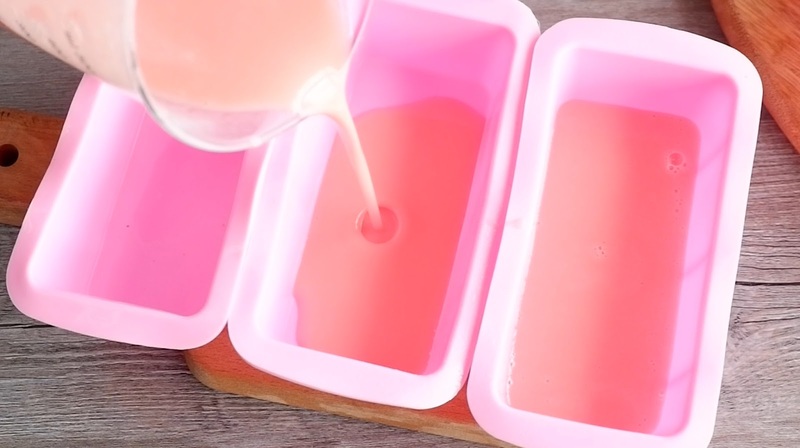 Pour the mixture into the slightly cooled soap that is in the mold. This should fill the whole mold right till the brim. 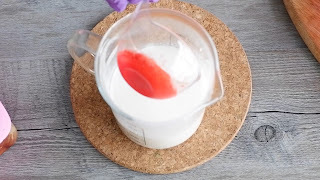 Spray on Rubbing Alcohol to remove bubbles, then leave soap to harden for 12 to 24 hours. 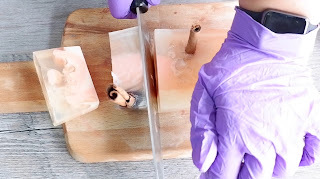 Once ready, pull mold away from soap and remove soap from mold and place it on a cutting board. Using a normal kitchen knife, cut soap into 5 equal parts.